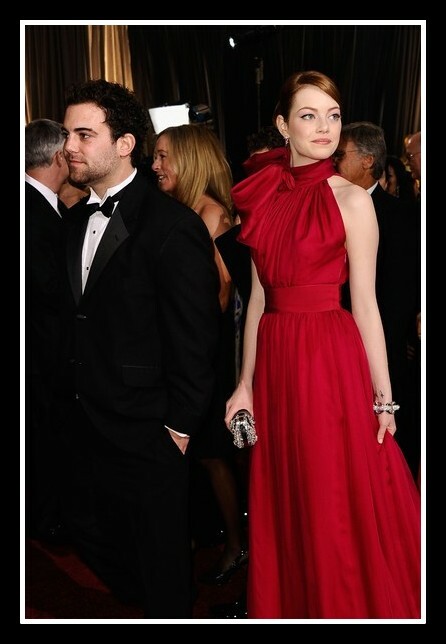 Emma Stone continues to impress on the red carpet – she’s done well in my eyes, for most of this awards season. Sunday night was no exception. Whether you thought it was hot pink, or a redhead in red, the Giambattista Valli couture was cinematic. Her presenter schtick? Not so much. The reason it all worked was because of that fabric. Miles of it, and oh, so dreamy. Photos: Frazer Harrison/Getty Images North America and FameFlynet.